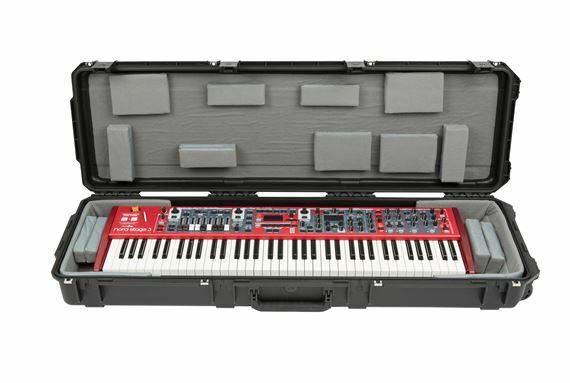 Order your SKB 3i-5014-TKBD iSeries 76-Key Keyboard Case from AMS and enjoy 0% Interest Payment Plans, Free Shipping, Free Extended Warranty & 45 Day Money Back Guarantee. The 3i-5014-TKBD can accommodate such models as the Korg Krome 73, Hammond SK1-73, Nord Stage 3 Compact, and Electro 5D 73. Interior dimensions: 47.5" x 13.5" x 4.25". 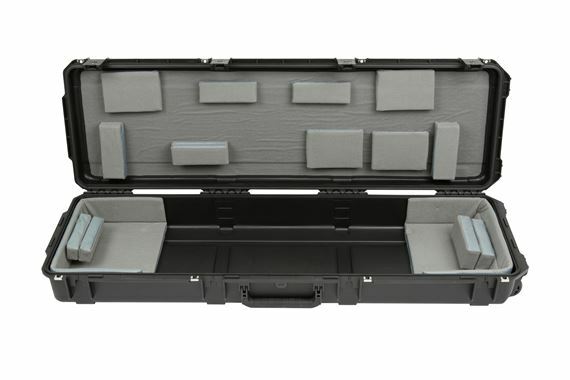 The new 3i-5014-TKBD iSeries 76-note Narrow Keyboard Case is waterproof, military grade, and features an all-new Think Tank-designed interior that's fully customizable with repositionable Velex-covered foam pads to ensure a perfect fit—even if your gear changes. Interior measurement of 47.5" x 13.5" x 4.25"